AS SEEN AT MILLER OUTDOOR THEATER! For the first time ever, Trill Comedy Festival is offering a show JUST FOR KIDS (and their parents)! 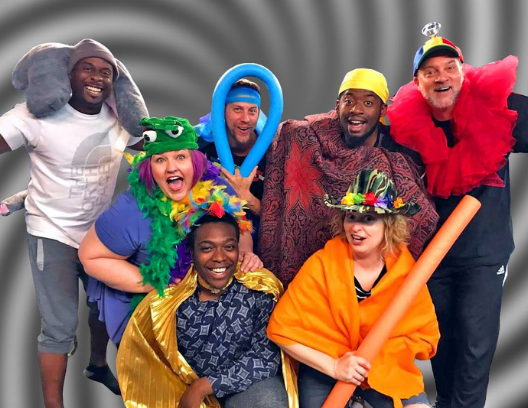 Join the Express Children’s Theater players as they create an improvised musical journey for KIDS using the power of imagination and “Yes, And!” using suggestions from the audience! All shows are improvised so every show is different! Designed to help children directly experience the power of collaboration and creativity – and IMAGINATION! No alcohol allowed at this show but please bring your own snacks & non-alcoholic beverages! No snacks or beverages are available at the show.